Nothing is more fabulous than vintage brass set rhinestones!! 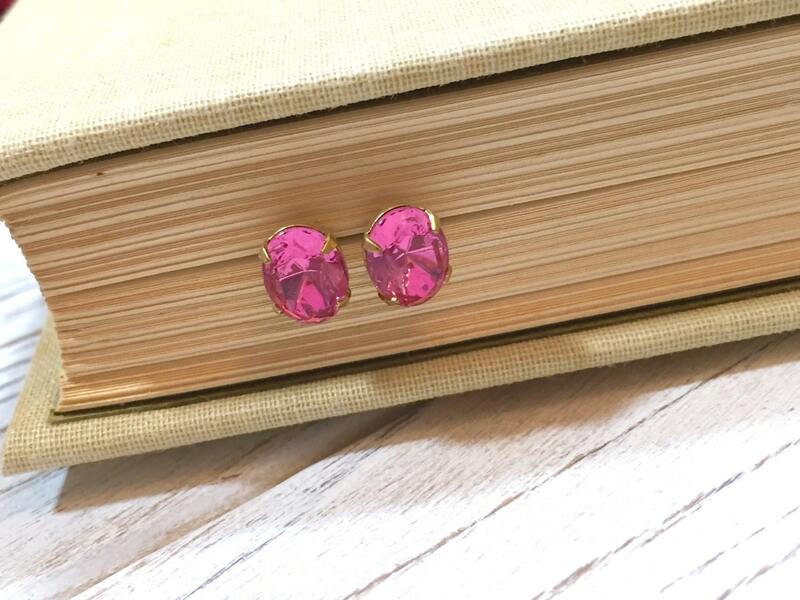 They are simply perfect for dressing up on a jeans and t-shirt day (show off your inner diva *smiles*) or even wearing on a formal occasion. 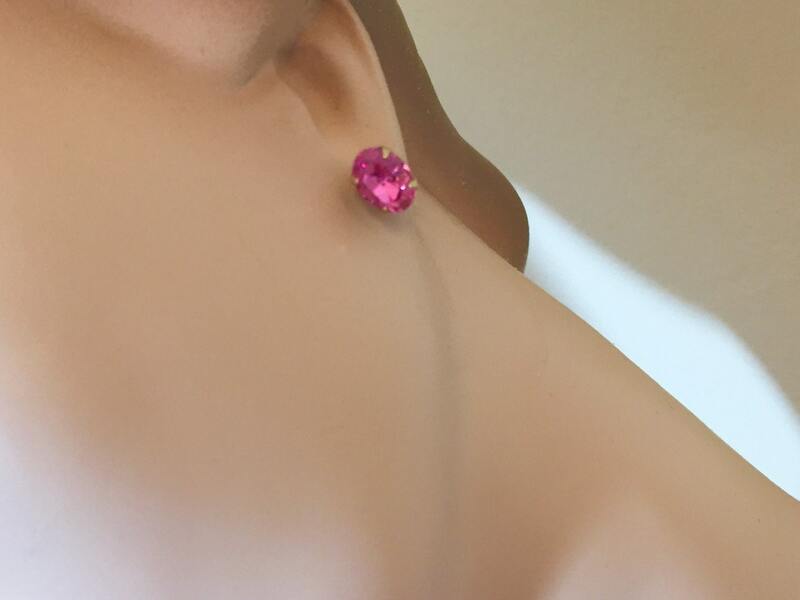 That's the beauty of rhinestones!!! 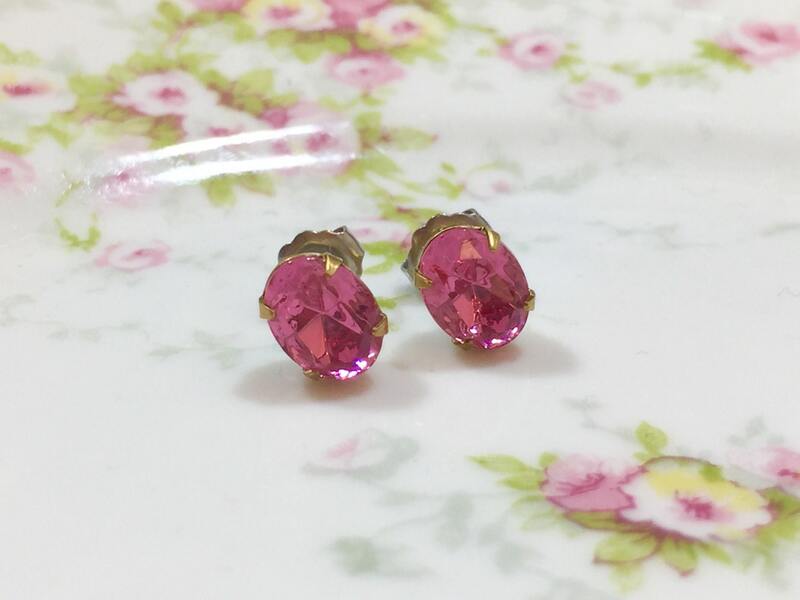 These small brass set rhinestones measure approximately 6mm by 8mm oval. 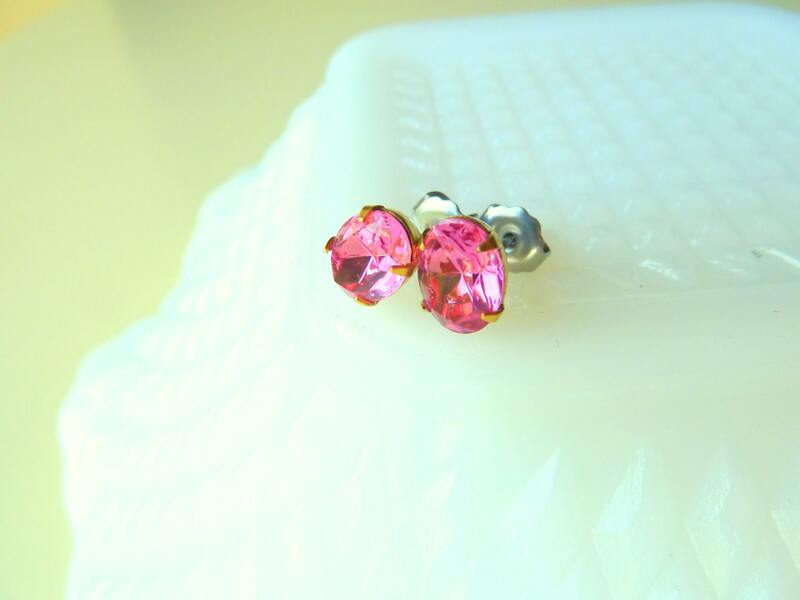 You are purchasing a pair of earrings made with the rose (pink) rhinestones set in brass affixed to surgical steel silver colored posts. 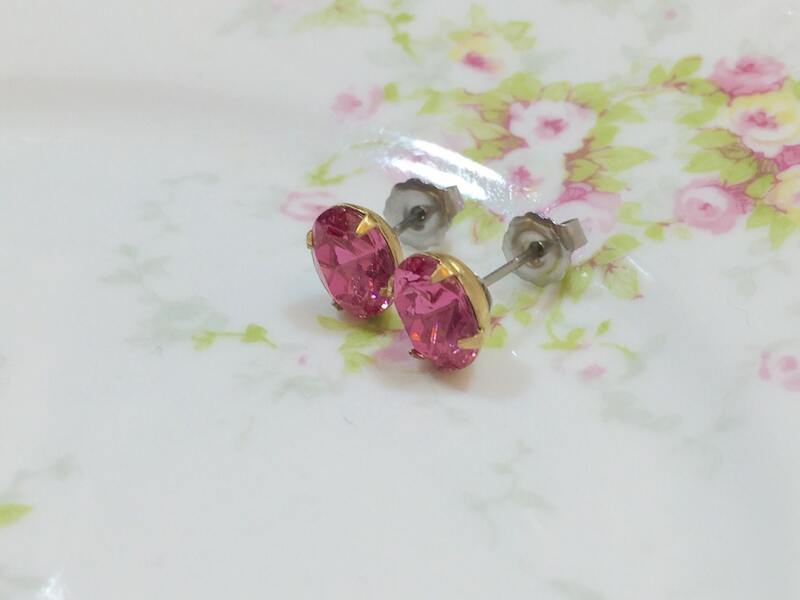 Please Note: All stud earrings are MADE TO ORDER so please allow 48 hours for me to prepare your item for shipment. Thank you for your patience!